Chris Black, who along with his brother, owns the Falling Rock, the best beer bar in Denver and HQ for beer people during GABF, turns 56 today. Chris is a great guy and one of a handful of early Publicans across the country doing things right when it came to beer, something that happily we’re seeing more of now. Join me in wishing Chris a very happy birthday. 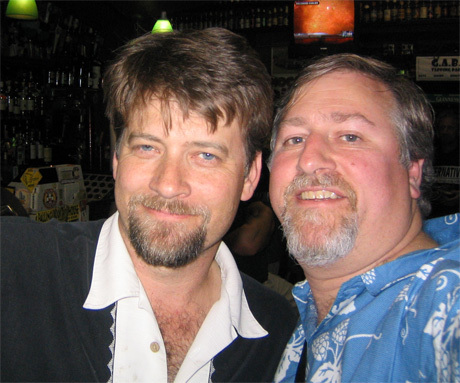 Chris and me toward the end of the night at GABF several years ago. Vinnie Cilurzo from Russian River Brewing with Chris at the Celebrator’s 18th Anniversary Party. 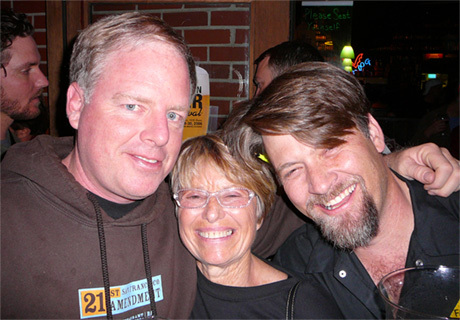 Shaun O’Sullivan (21st Amendment), Judy Ashworth (Publican Emeritus) and Chris at Falling Rock during GABF in 2006. 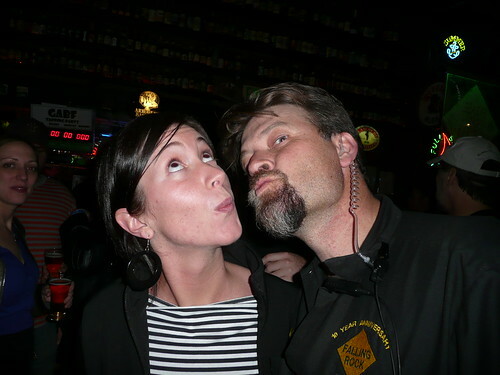 Megan Flynn, of the now-defunct Beer NW (later Beer West), with Chris at the end of GABF Week in 2009. Today is my friend and colleague Marty Jones’ birthday, though how old the eternally young Mr. Jones may be is anybody’s guess. Marty’s a beer journalist, brewery rep., musician, and much more. Join me in wishing Marty a very happy birthday. 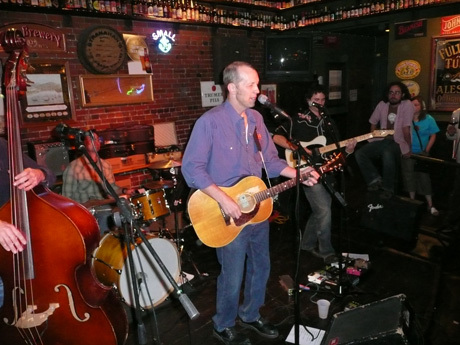 Marty Jones — along with his Brewbadors — entertaining the faithful with his original beer-soaked tunes at the Falling Rock during GABF week 2007. 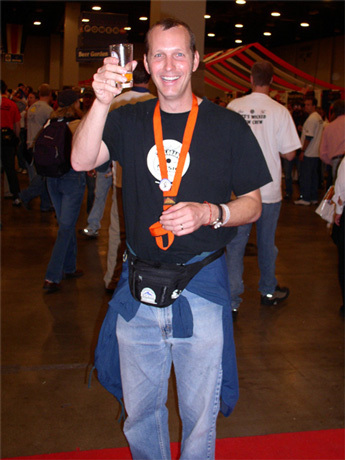 Marty toasting me at the 2002 Great American Beer Festival. 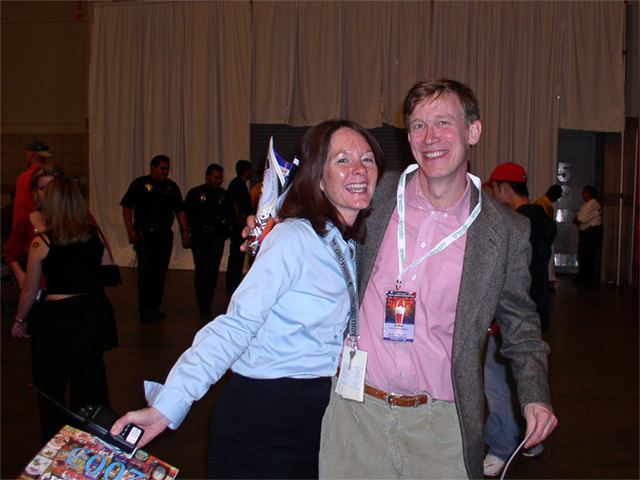 Today is the 67th birthday of Governor of Colorado — and former Denver mayor — John Hickenlooper. John was also the co-founder of Wynkoop Brewery in Denver’s LoDo District, and in fact is credited with helping to revitalize the whole area. After being a popular, and by all accounts very effective mayor, for several years, he was elected as the Governor of Colorado. John’s been great for Denver, Colorado and craft brewing. Join me in wishing John a very happy birthday. 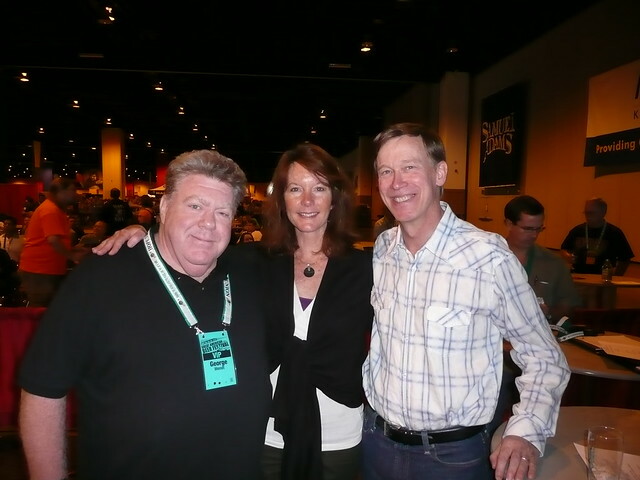 George Wendt, Nancy Johnson & John at the Great American Beer Festival three years ago. 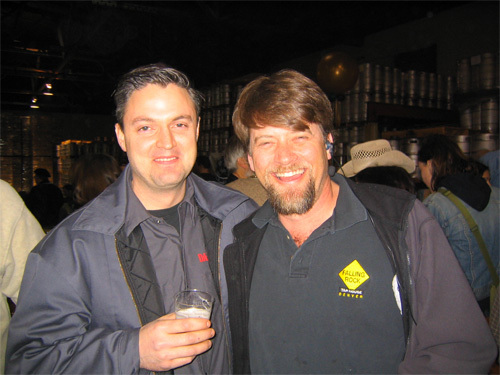 With Ken Allen, from Anderson Valley Brewing, and Dave Buehler, from Elysian Brewing at GABF several years ago. 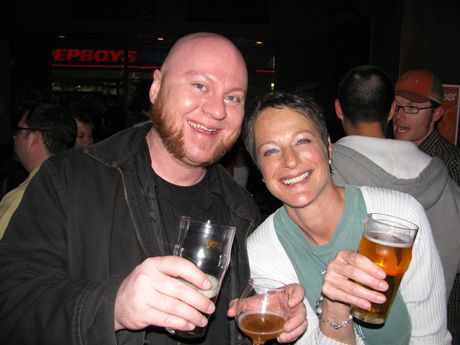 Nancy Johnson and John at GABF in 2003. 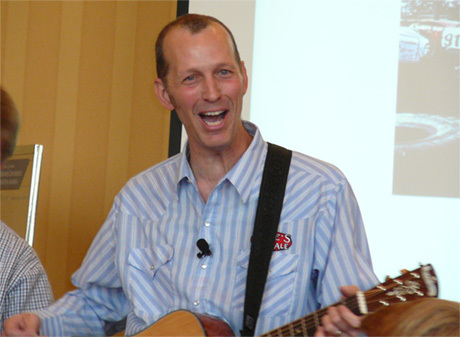 Today is the 50th birthday — The Big 5-O — of Todd Alström, co-founder of Beer Advocate. With his brother Jason, Todd has created one of the killer apps of the beer world online and the only monthly beer magazine. Though we only run into one another from time to time, we always have a good time. We also shared a week in Bavaria on a press junket in 2007, and had a terrific fry crawl in Boston a number of years ago, before he relocated to Denver a few years ago, and more recently became a father. Join me in wishing Todd a very happy birthday. 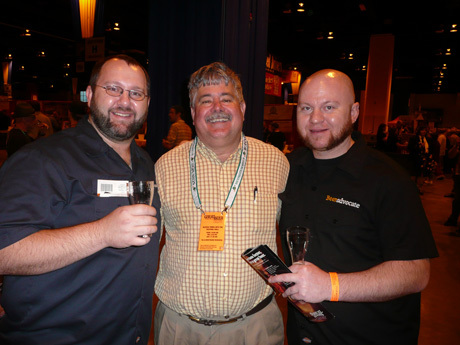 Todd (at right), with brother Jason and Jaime Jurado, head brewer from Gambrinus, at the 2008 GABF. 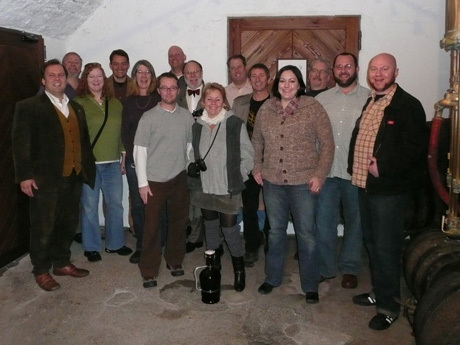 During a trip to Bavaria in 2007, the gang of twelve plus three at the Faust Brauerei in Miltenberg, Germany. From left: Cornelius Faust, me, Lisa Morrison, Johannes Faust, Julie Bradford, Andy Crouch, Peter Reid, Horst Dornbusch, Jeannine Marois, Harry Schumacher, Tony Forder, Candice Alström, Don Russell, Jason Alström and Todd Alström. Todd with Rhonda Kallman at the Blue Palm in L.A., after the premiere of Beer Wars. Me, Todd, Jason Alström, Joe Tucker and Greg Koch showing off our sample bottles of Enjoy By 12.21.12 in San Diego four Decembers ago. 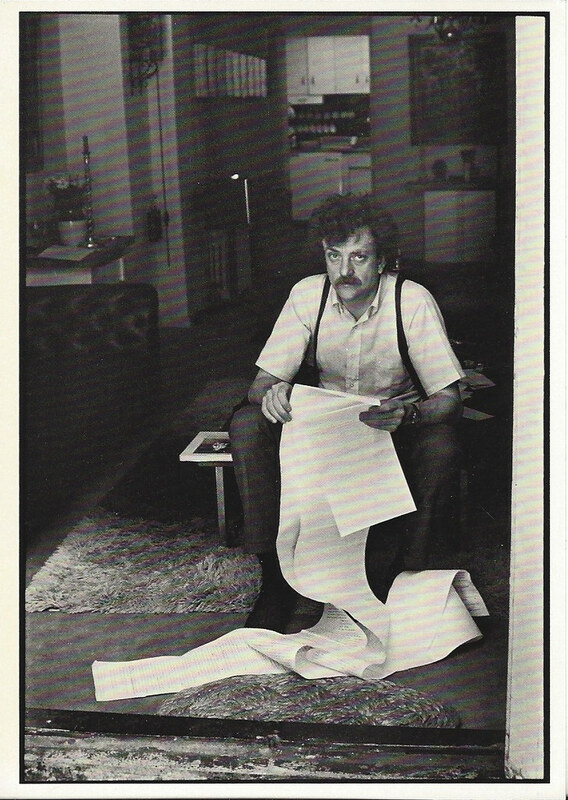 Today is the birthday of Kurt Vonnegut Jr., one of my favorite authors. 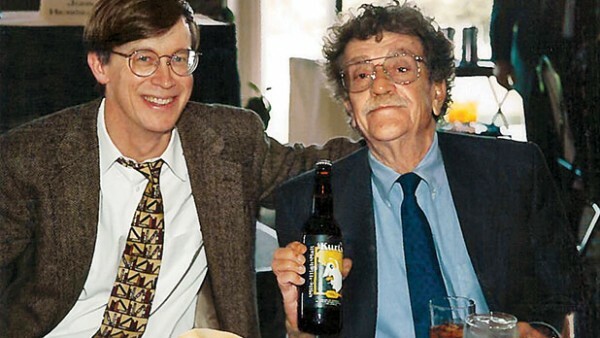 I wrote about him when he passed away in 2007 in a post entitled So It Goes: Kurt Vonnegut’s Beer Heritage and detailed his relationship with John Hickelooper’s father and a beer Wynkoop later made based on Vonnegut’s grandfather’s recipe. 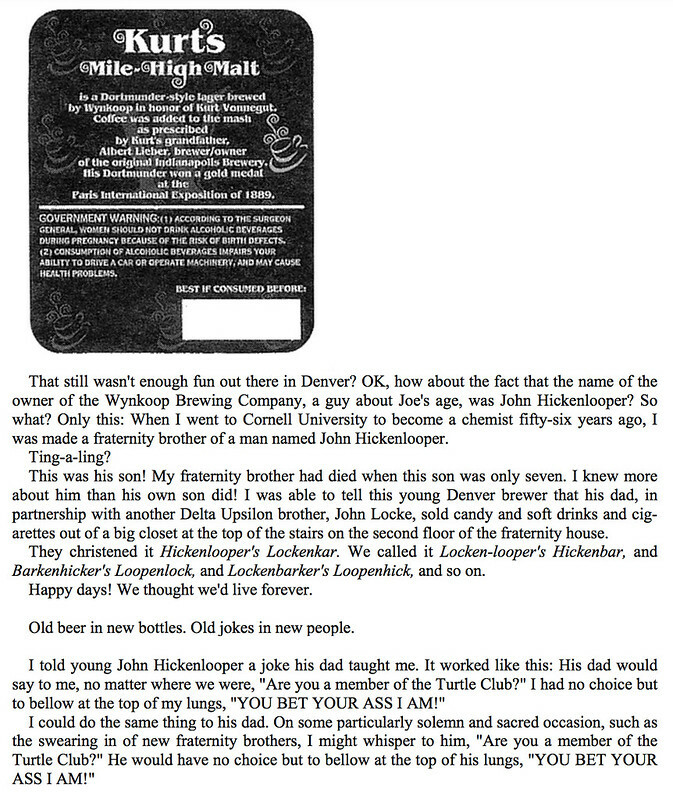 There were essentially two different beer stories involving the Wynkoop Brewing and Vonnegut, and I’ve learned a little more about them over the past decade. 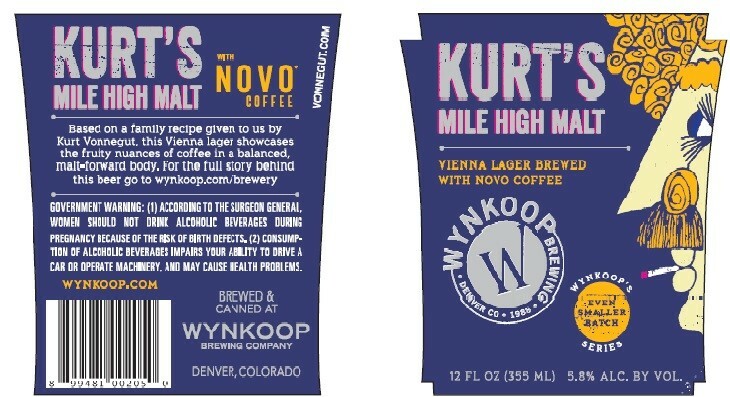 The second instance was around the same time, when Wynkoop created a beer with Vonnegut based on his grandfather’s recipe. 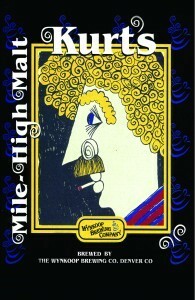 It was called Wynkoop Mile High Malt. 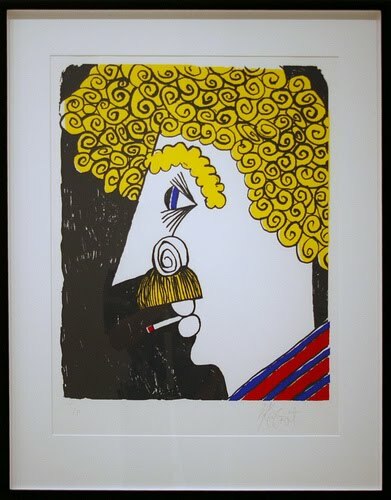 The label artwork was based on a self-portrait by Vonnegut, who was also an artist. 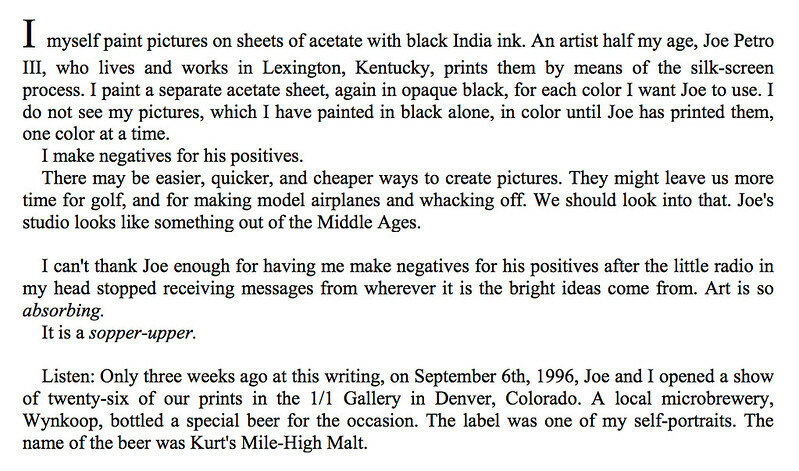 And in the book “Conversations with Kurt Vonnegut,” by Kurt Vonnegut and William Richard Allen, he explains more about his grandfather’s beer. 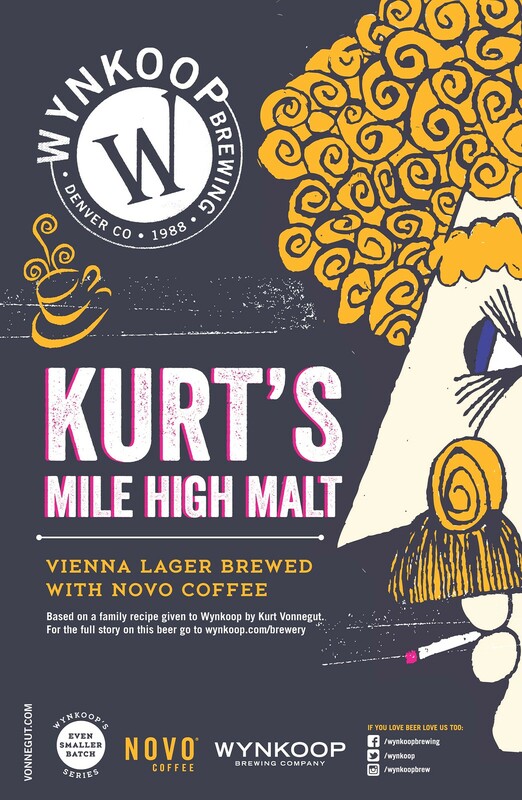 On November 11, 2007, Wynkoop Brewing Company in Denver, reintroduced Kurt’s Mile High Malt to celebrate the late author’s birthday. The beer was originally created by Vonnegut’s grandfather, Albert Lieber, of the Indianapolis Brewery, using coffee as the secret ingredient. 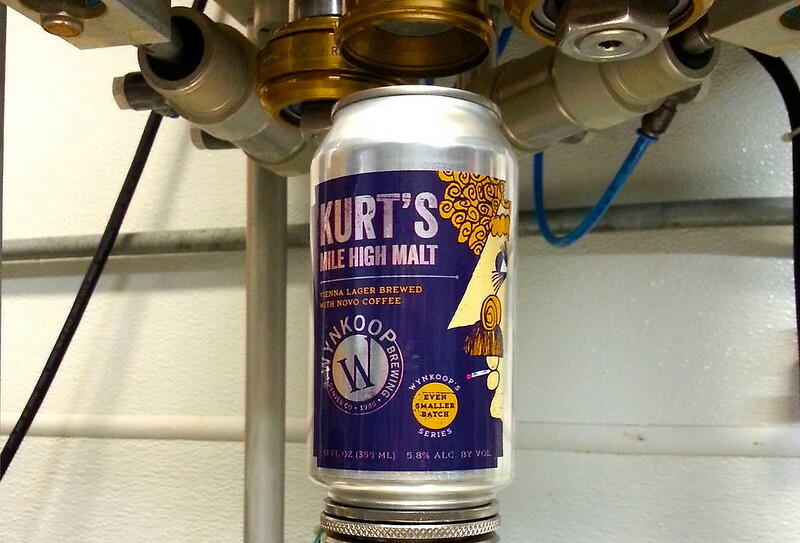 Kurt’s Mile High Malt was first brewed in 1996 thanks to Wynkoop Founder and Denver Mayor John Hickenlooper, a friend of Vonnegut’s. 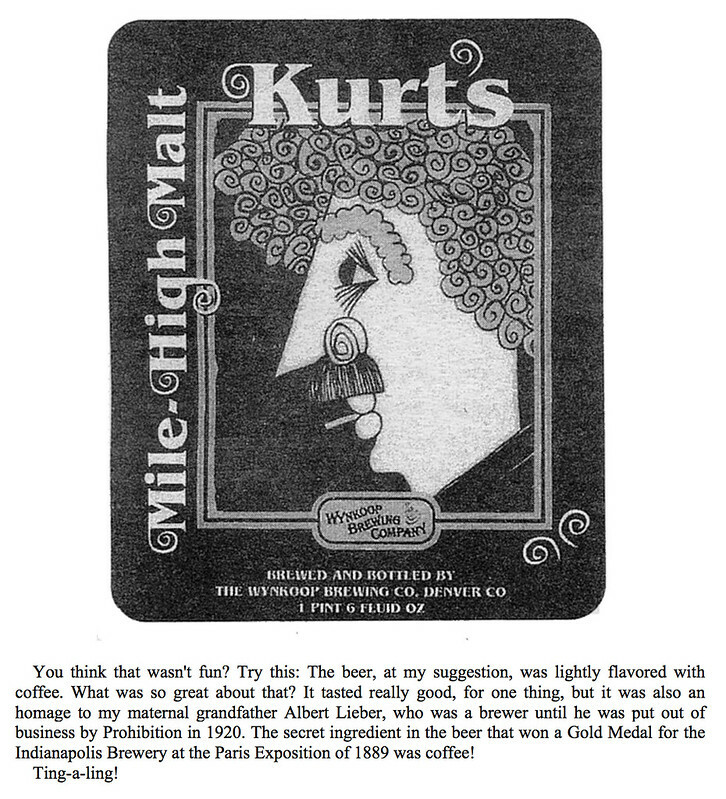 At Vonnegut’s request, coffee was added to the Mile High Malt, making it a close recreation of his grandfather’s original. Then, in 2014, they released it again for the brewery’s 25th anniversary. It was part of their “Even-Smaller Batch Series” and was even canned. Today is the 47th birthday of Jason Alström, co-founder of Beer Advocate headquartered in Boston, Massachusetts, but found worldwide over that series of tubes known as the interwebs. Though started as a hobby, Beer Advocate has gone on to be one of the internet’s killer apps of beer, which has successfully branched out into publishing and putting on beer festivals. Join me in wishing Jason a very happy birthday. Jason with Jaime Jurado, then-Director of Brewing Operations for the Gambrinus Company, and his brother Todd at GABF in 2008. After judging the finals for the 2009 Longshot Homebrew Competition in Boston. 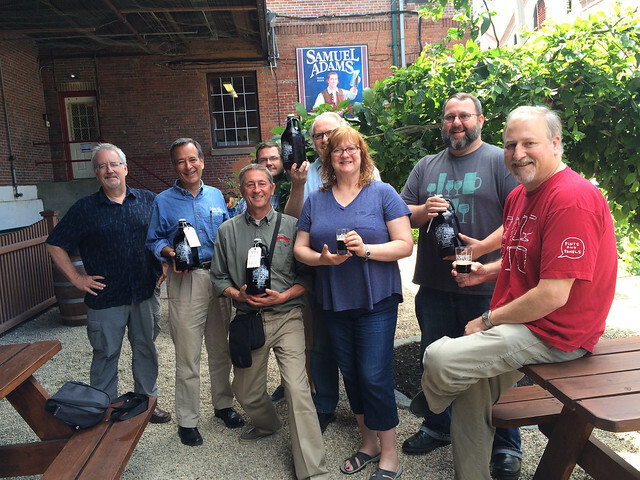 From left: Jason, Tony Forder (from Ale Street News), Bob Townsend, Jim Koch (founder of the Boston Beer Co.), yours truly, Julie Johnson (from All About Beer magazine), and Jason’s brother Todd Alström. 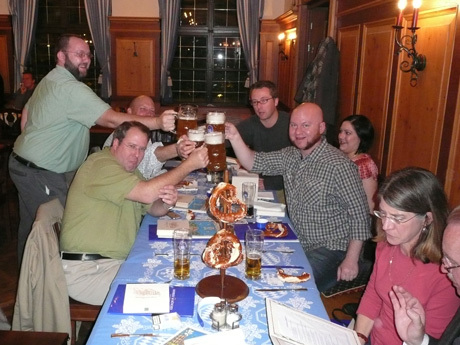 Jason, standing far left, toasting at Munich’s Hofbrauhaus. During a trip to Bavaria in 2007, the gang of twelve plus three at the Faust Brauerei in Miltenberg, Germany. From left: Cornelius Faust, me, Lisa Morrison, Johannes Faust, Julie Bradford, Andy Crouch, Peter Reid, Horst Dornbusch, Jeannine Marois, Harry Schumacher, Tony Forder, Candice Alström, Don Russell, Jason and Todd Alström. 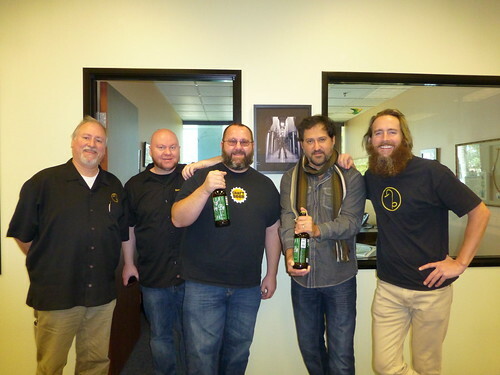 The day after we tried all of Stone’s Vertical Epic’s in San Diego a few years ago; with Steve Wagner, me, Joe, Jason and Todd Alström and Greg Koch. At last year’s Longshot judging in Boston, Don Russell, Jim Koch, Tony Forder, John Holl, Bob Townsend, Lisa Morrison, Jason and me. This is great news. 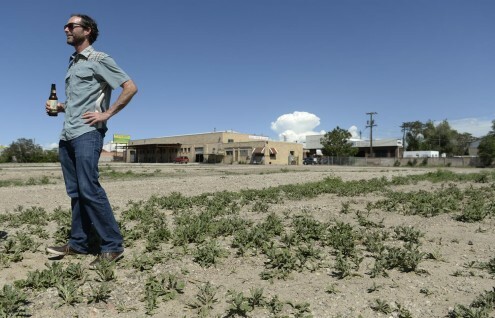 Brian Dunn of Great Divide Brewing in Denver, Colorado, has announced that they will be building a brand new production brewery on a five-acre site in the River North neighborhood. When completed, it will take capacity to around 100,000 barrels, and ultimately to a maximum of 250,000 when all is said and done. Last year, Great Divide made a little bit more than 37,000 barrels of beer. Phase One will start in a couple of months, which is to demolish the abandoned auto parts warehouse that currently sits on the land. Next, they’ll build a 70,000-square-foot warehouse to use for storage of kegs and packaged beer, a priority. That should be finished by the spring of 2015, qnd will also include a new canning line, meaning that Great Divide will begin canning their beers next year. 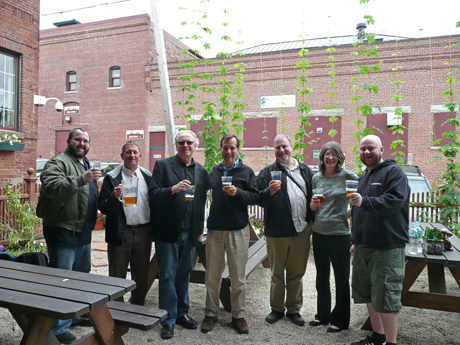 According to the Denver Post, “A tasting room and beer garden adjacent to the new production brewery – overlooking a planned city park, the South Platte River and the mountains beyond – is at least two and possibly three years down the road.” Once the brewery is operational, they’re repurpose the existing downtown brewery for smaller batch beers and special releases. Congratulations to Brian and the brewery. I can’t wait to see the new brewery up and running. Denver Broncos quarterback Peyton Manning famously said a couple of weeks ago after his victory over the Chargers that all he could think of was how soon he could “get a Bud Light in [his] mouth.” It seemed like a slap in the face to pick Budweiser while being the QB in the land of Rocky Mountain spring water-made Coors. Not to mention that Colorado is one of the best beer states in America, so it’s no surprise that a number of smaller craft breweries also called him out for his choice of frosty beverage. But in subsequent interviews, Manning’s stuck to his guns, succinctly explaining the reason for his beer preference. My only question is this. Peyton Manning is 37 years old. He’s also married with two children, and presumably no longer lives at home but has his own household. At what age did you stop doing everything your father told you? It may be true, but it seems like a bit of a cop out. I thought it was more common to eschew your father’s beer and make your own choices. I remember a particularly enlightening conversation I eavesdropped on at GABF a number of years ago. I was walking the hall, in a hurry on my way to somewhere, when a group of at least half-a-dozen young men, presumably in their early twenties, blocked my path and forced me to slow up behind them. From just behind their slow-walking row, I could hear what they were saying as we ambled past the Sierra Nevada Brewing booth. One of the them elbowed his friend, and pointing his head toward Sierra Nevada’s booth, remarked. “Sierra Nevada; my Dad really likes that beer.” He put the emphasis on “Dad” when he said it, indicating that it wasn’t necessarily a good thing. I remembered that a while later when I was having dinner and some drinks with Ken and Brian Grossman, and mentioned what I’d overheard. They said they were fully aware of that as a growing problem, having been around long enough that they were becoming the new generation’s Dad’s beer. It’s part of the reason they began doing so many more collaborations, specialty releases and even beer camp. It’s an interesting facet of the craft beer industry as it grows and matures. How do you maintain your image while also remaining fresh to newer, younger customers? Because nobody wants to drink the same beer as their father. I know I didn’t, and don’t. I know none of this matters and everyone is free to drink whatever the hell they want. Still, I find it fascinating to watch how certain statements play out in the media. 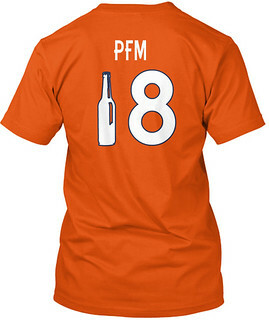 Had Manning picked a Coors product, he would have pleased the hometown fans. Had he picked a craft beer, especially a local one, he would have made the hometown fans, and many good beer lovers, overjoyed. Instead he picked Bud Light, coincidentally the “official beer of the NFL,” so most likely the group he pleased the most was the league. Last fall, Manning apparently bought twenty-one Papa John’s Pizza franchises, all in Colorado. I wonder what beers they serve? There’s at least one every April Fool’s Day. Here’s Marty Jones from the Wynkoop brewpub in Denver, Colorado with a short video introducing their latest style of beer: Rocky Mountain Oyster Stout. Enjoy. Last week, Secretary of the Interior Ken Salazar, who many believed might make a run for governor of Colorado, announced he would not run, instead endorsing Denver mayor John Hickenlooper. For several years, Hickenlooper has been urged to seek the governor’s office, but has said he didn’t want to be governor. Today, the Denver Post announced that former owner and Wynkoop Brewpub founder John Hickenlooper has changed his mind, and will run for Colorado governor.